Buy wholesale, direct from factory! AMSOIL Preferred Customers purchase AMSOIL products at wholesale cost, without the responsibilities of owning a Dealership. 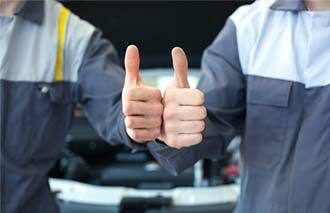 Preferred Customer Memberships are recommended for people who are not necessarily interested in the business opportunity, but want the lowest possible prices on the best lubrication and filtration products for their vehicles and equipment. Preferred Customers pay the same low prices for AMSOIL products that AMSOIL Dealers pay. 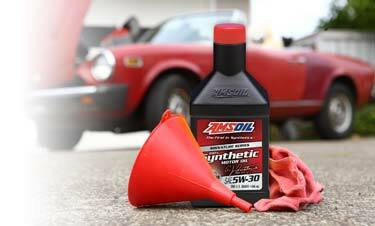 AMSOIL Preferred Customers pay wholesale prices on all AMSOIL products, a savings of up to 25%. With an extended line of products you can protect your equipment and spend less on maintenance at a lower cost. Preferred Customers who register friends and family members as P.C's or Dealers receive 500 bonus points after the referred customer makes a purchase. Simply send your friends or family to this short url: www.wboil.ca/friends to register. More details on AMSOIL PC program? • Preferred Customers buy AMSOIL products at wholesale prices 25% off MSRP. • If you buy $100 or more of AMSOIL products a year, this program will save you money! • You will get immediate discount, just add preferred customer program to your online order. • Preferred Customers can either register over the telephone or Online. • Preferred Customer memberships may be renewed indefinitely. • Preferred Customers can upgrade to an AMSOIL Dealership at any time. • Preferred Customers receive an information startup kit on AMSOIL products, quarterly subscription to AMSOIL Action News magazine & other offers. The best way to order the Preferred Customer membership is right in our Online Store by adding it to your cart by clicking on the button below.